Out of the three types of hosting mentioned above, Shared hosting is the most basic and affordable type of hosting anyone can get. 1.3 Why to choose Shared Hosting? Shared Hosting is a type of hosting in which various server resources are shared among hundreds or thousands of websites. It is the most affordable type of hosting that you can get. Mostly amateur bloggers or small website owners go for shared hosting as they have limited budget and less traffic. Shared hosting does have some advantages and disadvantage that are being mentioned below. Here are some main advantages of shared web hosting. Shared hosting is much cheaper as compared to VPS and Dedicated hosting. A shared hosting plan can start from as low as $3 per month whereas good VPS hosting plans generally starts from at least $25 per month. Shared hosting is relatively easier to manage as there is dedicated customer support ready to help you at any step. Also most shared hosting services provide cPanel control panel which is very easy to use and configure. Shared Hosting server has huge amount of resources because many websites resides on a single server so if your website post get slashdot effect then the server can easily handle it for the moment. Here are some disadvantages of shared web hosting. Although shared hosting server has good amount of resources but you cannot overuse these resources as there are many websites depends on the single server, and if one website start using greater amount of resources for long time then the hosting company can suspend your shared hosting account. So there is a specific limit defined for CPU and Memory usage for all websites on shared hosting server. So if your website grows large in traffic then you should move to a VPS hosting before they terminate your account. In shared hosting you will not get root level access to the server and this will prevent you from doing advanced tasks. You will only get access to your control panel account only. Sharing Hosting is the preferred choice for small websites and blogs that do not get much traffic. Also for bloggers who just started blogging also opt for shared hosting as in starting they do not have money to afford a Virtual Private Serve (VPS) or dedicated server. But I have seen many professional bloggers who still uses shared hosting and getting decent traffic and earning decent amount of money from their blogs. WordPress is the most widely used blogging platform or CMS used in the world. When it only comes to blogging then nothing come close to WordPress because of its simplicity, features and performance. It must also be noted that WordPress uses decent amount of resources to run properly, and when your site or blog uses large number of plugins then it consumes more and more server resource. So for proper running of WordPress you will require good web hosting even if it is a shared hosting. So here are some top web hosting companies that offers shared hosting at great price and performance. Bluesthost is the leader in shared hosting business. Bluehost was the only reputed and big company that was offering only shared hosting packages for users. Only few times back they have started and launched their VPS and Dedicated server hosting plans. Bluehost is very well known for their quality and performance of shared hosting plans. Their customer support is top notch and they are with you 24×7. Bluehost offers 99.99% uptime which means your sites will never go down from their side. You can also earn good amount of money by joining their affiliate program. Bluehost shared hosting plans starts from as low as $3.95 per month with one free domain name included. You can also move to a higher hosting plan i.e. from starter to plus and business pro without having to move your websites or any other files or database. They provide cPanel as their control panel which is very easy to use, yet very powerful. So if you want an affordable and professional shared hosting then BlueHost is for you. Hostgator is also a very popular web hosting company and besides shared hosting they offer Virtual Private Servers (VPS) hosting, Dedicated Server hosting and Reseller hosting. Like Bluehost, Hostgator is also very popular and a big name in the web hosting business. We can say that Hostgator and Bluehost are rivals and they compete each other in every aspect for providing reliable and quality web hosting to their customers. 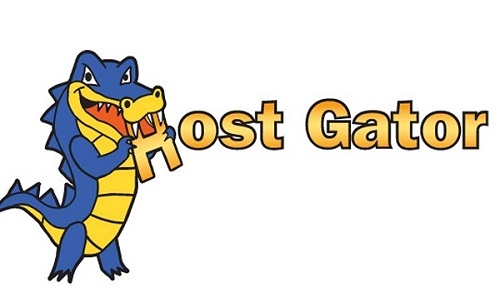 Hostgator shared hosting plans starts from as low as $3.96 per month. You can move from their starting Hatchling plan from Baby and Business plan without having to move your WordPress files and database. Their shared hosting servers are very fast and optimized and they offer 99.9% uptime which means that you will never loose your visitors anytime. They also provide 24×7 customer support and their support staff is quite friendly and well versed with all the technical aspects of web hosting. So if you need an alternate option to Bluehost then you can go for Hostgator shared hosting which is also top notch. Next comes the Dreamhost which is not as affordable as Bluehost and Hostagtor but with extra price comes added benefits and advantages too. Dreamhost shared hosting is hosted on Solid Sate Drives (SSD) which leads to increased performance and decreased website loading time. Shared hosting from Dreamhost comes with 97 day money back guarantee, cpanel, 100% uptime guarantee and much more. Shared hosting plans from Dreamhost starts from $8.95 per month with one free domain included. So if you are having a professional blog or medium sized website with decent amount of traffic but do not budget for expensive VPS hosting then DreamHost shared hosting is the preferred choice for you. All the above shared hosting companies are recommended for WordPress based blog or website and you can choose any one of them according to your requirements or needs.